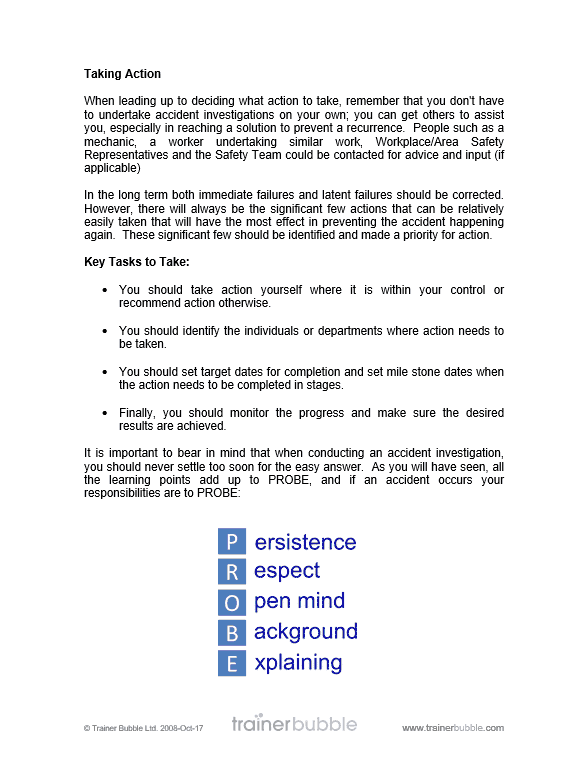 Managers, leaders, trainers, health and safety officers and anyone involved in health and safety training and/or procedures. 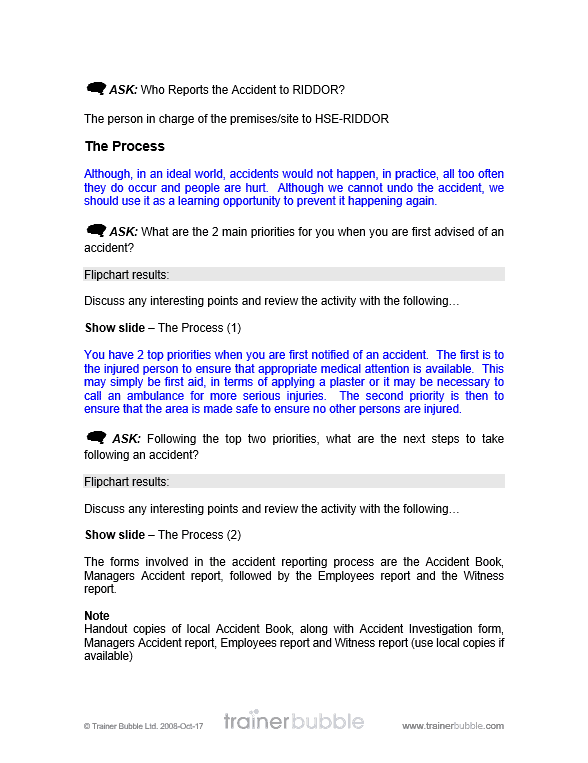 These Accident Investigation Training Course Materials will give participants the necessary information and skills to enable them to carry out a thorough and effective accident investigation. 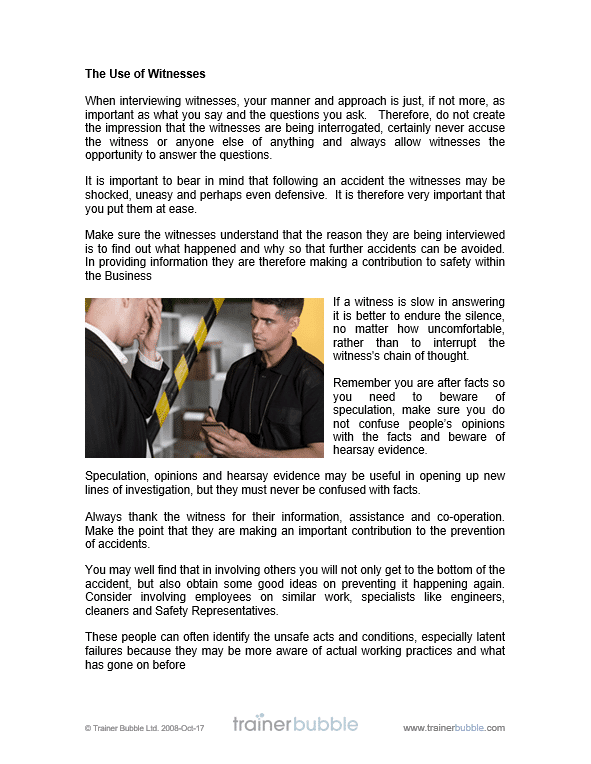 As well as the usual contents of Trainer Bubble Training Packs, you will also receive the following useful documents: Witness Report, Accident Investigation Form, Employees Accident Form, Managers Accident Form and several course specific handouts. 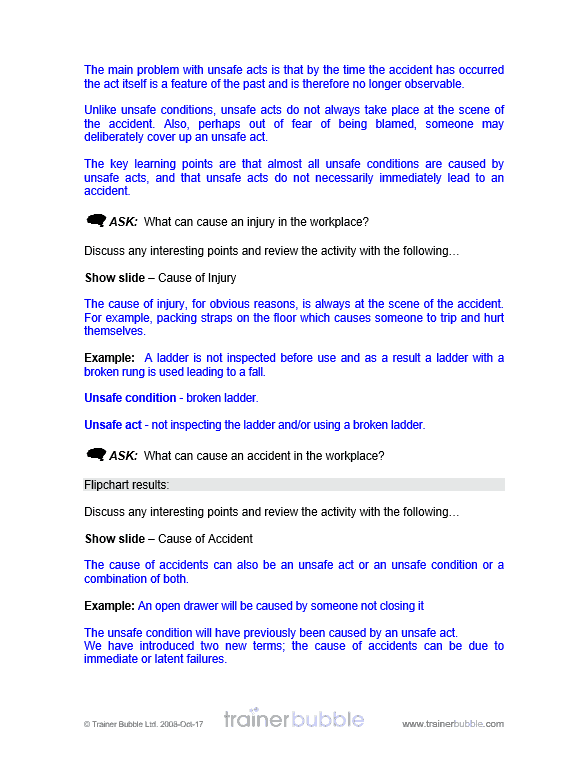 Providing participants with the necessary information and skills, to reach the right conclusions, make effective, practical recommendations and thereby make a significant contribution to improving workplace health and safety. 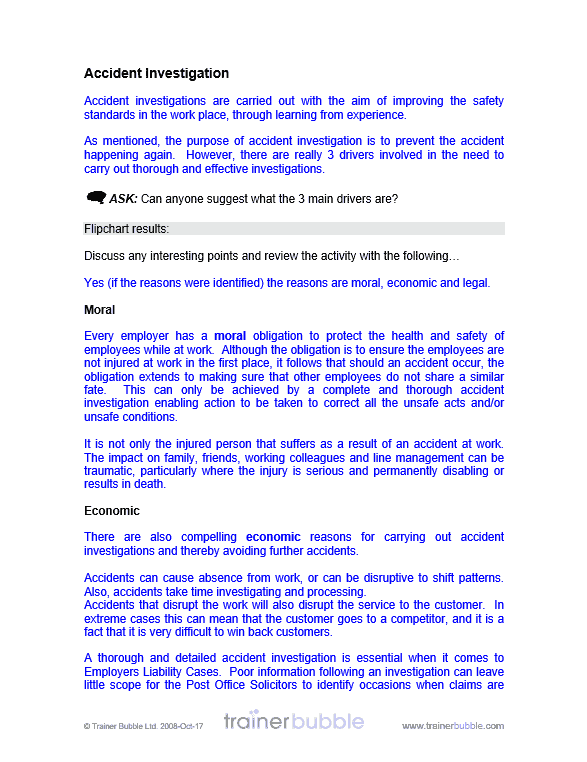 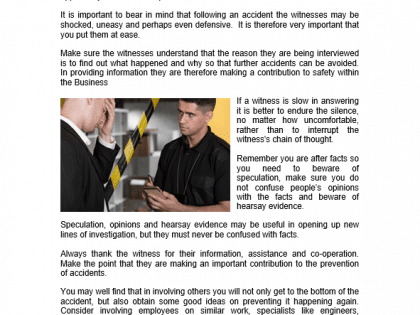 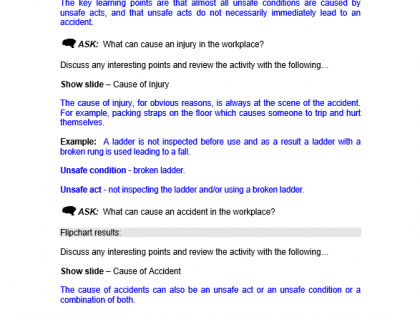 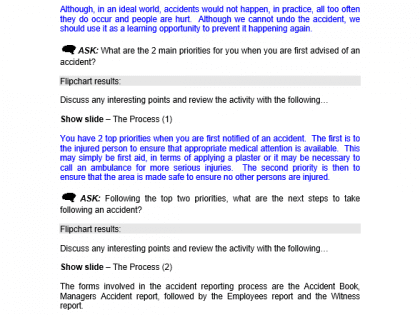 Accidents & Accident Causation – If an organisation does not properly control risks, the outcome of an accident often depends on chance. 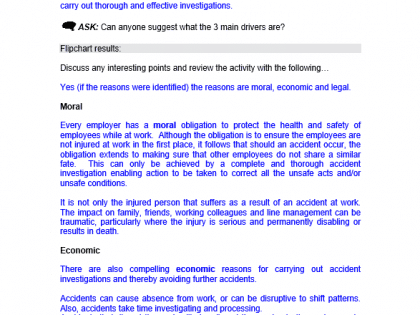 Because the outcome of an accident cannot be accurately predicted, the only way to effectively reduce accidents is by controlling the underlying causes of all the different accident types. 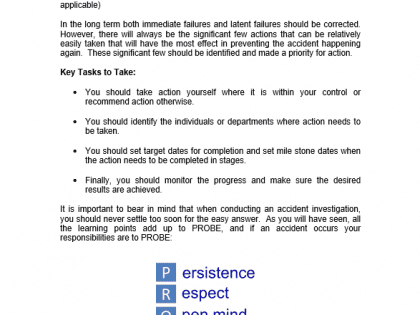 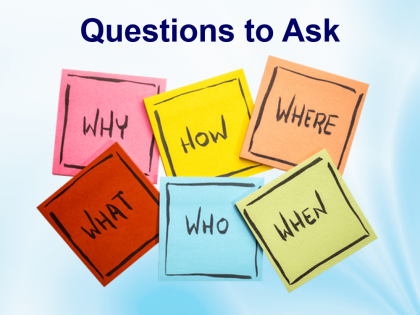 Review of Session – Creating an action plan to embed learning. 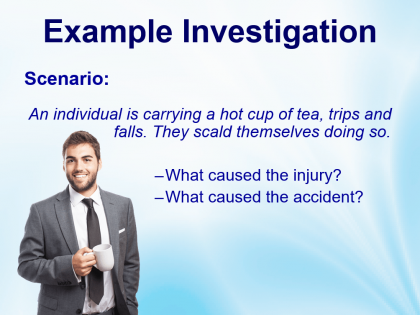 Please note: The legal explanations in this course are based on United Kingdom examples. 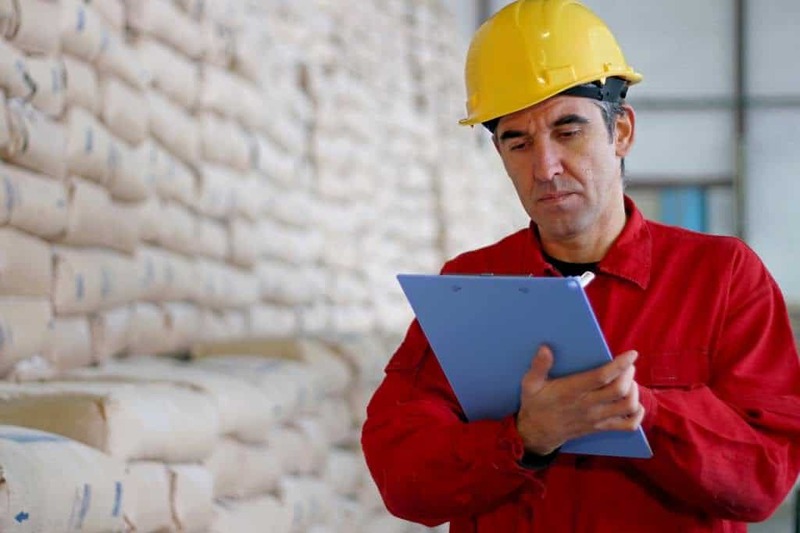 However, the materials can easily be adapted to include other countries data.